Cambridgeshire-based auction house Cheffins has cited the weak pound, strong commodity prices and high purchase price on new machines as major factors responsible for a 13 per cent increase in second-hand sales value. Through the second quarter of 2018, £10.07 million was traded through the auction house. 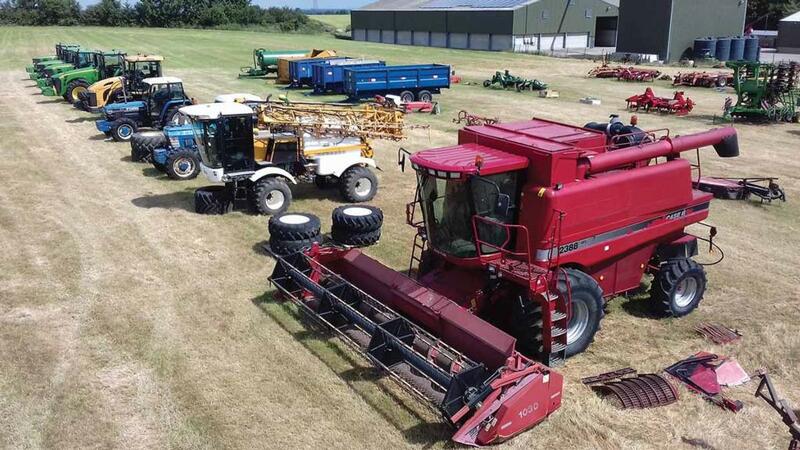 It says export buyers have underpinned the value of kit, 80 per cent of which sold overseas, with Ireland being the biggest buyer, while domestic buyers keen to secure quality machines spent over £2m. On farm sales remain well supported by buyers says Cheffins, as vendors enter joint ventures with neighbours, or require more capacity to cover increasing acreages, exchanging for larger and newer machines. The top-selling lot for the second quarter was a 2013 John Deere S680, which realised £149,000. Bill King, Chairman of Cheffins says: “Many farmers are not stopping expansion plans due to Brexit – and higher BPS payments and rising commodity prices have created favourable conditions within the market, even though the future of subsidies remains unclear.